Though modern technology continues to advance the speed at which a brand can develop, progress, and produce, the ideas behind them grow harder to fabricate. 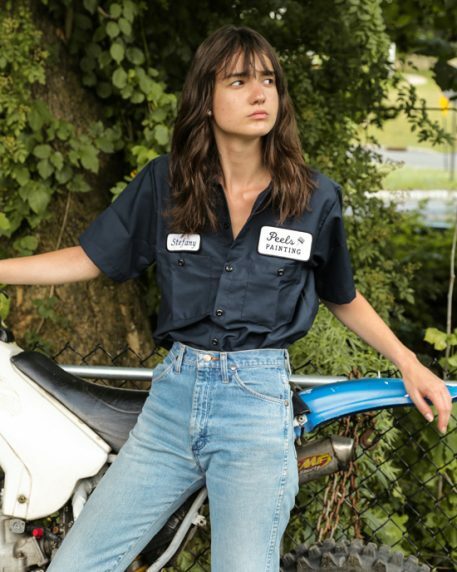 As the Brooklyn-based Peel’s brand started to appear in my feeds—on both models, skateboarders, and downtown New Yorkers —a few months ago, there was a humble authenticity in every one of the handcrafted work shirts. It intrigued me. Stopping into Chinatown’s Football Cafe on a sweltering NYC Saturday proved to be an equally cooling experience, as it’s where I met the brand’s founder, Jerome Peel, who also works at the superfood, soccer-steeped cafe. We briefly talked about skateboarding, including the many NY notables including Yaje Popson, Chris Milic, Mateus Lages, and Andrew Wilson, who are part of Peel’s casual crew (not official team), and why he started the very pragmatic and personal brand out of his apartment in Bushwick. 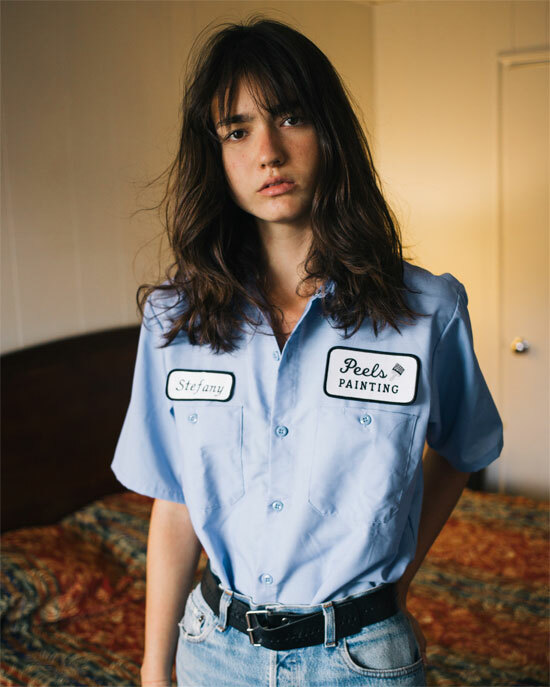 Whether it’s hand-dyeing work shirts or laboring away at his sewing machine, each Peel’s piece has a slow-brand mentality of yore. Here’s my conversation with Jerome Peel about what putting in work really means. A few months ago I made a Shopify and it’s been doing well. It’s literally shocking to me and more shocking to my dad. 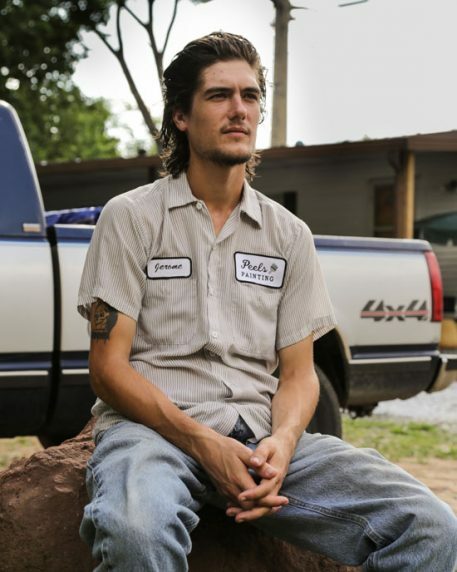 I’ve always loved the ’90s look and I have the utmost respect for hardworking people—the blue collar type thing. So I guess the two come together in Peel’s. I recently got a sewing machine and an embroidery machine. It’s been awesome to learn how to use them. Sometimes I see people wearing the first couple of shirts I made and they’re a bit sketchy… kind of funny. I’m really proud to say a lot of production is done in the USA. Aka, my basement. Everything so far has happened super organically, so I plan to just keep going with the flow and see what happens. Shooting the lookbook was more of a fun road trip, where we shot some photos on the side. Our whole crew (models, photographer, director and assistants) were already friends so it was really natural and easy. After the shoot we went back to the hotel and just relaxed. I think we’re trying to stay as unprofessional as possible and somehow it’s working. Hard Work Pays Off (their slogan)? This is definitely one of my dad’s favorite sayings and it’s proven true over and over again. His other favorite saying is, “Do the job right and you won’t have to do it again.” He’s known as one of the best painters anyone can get. He works slow, but every edge and wall is perfect. His high standards and work ethic are fully part of what I’m doing.